This is a dessert I can never say correctly and hubby just laughs whenever I attempt to say this. Admitting to this fact, please don't ask me how to pronounce it. 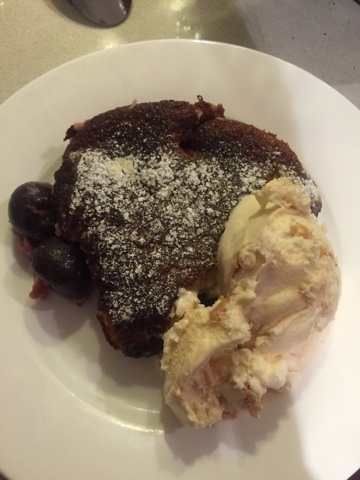 I recently made this dessert and I can say its a light and delicious dessert that the kids and I demolished this in minutes. A little warning though, I kept the cherry stones in as it keeps the shape and flavour of the fruit intact. Please let your guests know before serving. 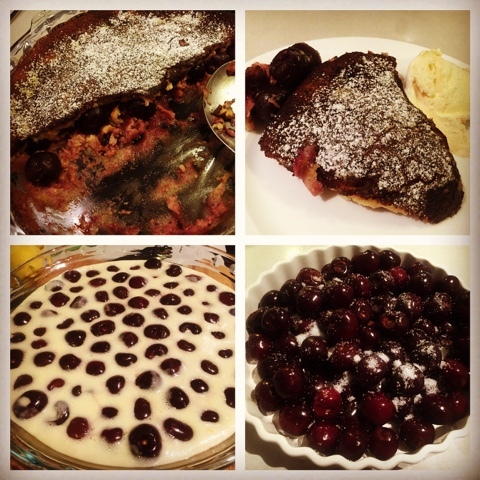 Or you could pit the cherries but I was little time poor to do this. 1. Preheat the oven to 200 degrees Celcius. 2. 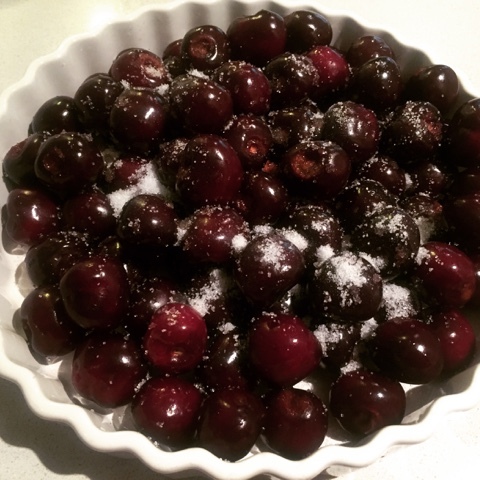 Place the cherries in a shallow baking dish and sprinkle caster sugar and kirsh, (if using) over them. 3. Bake 5-6mins or until cherries are cooked but still firm. Set the cherries aside and reserve cooking juices. 4. For the custard, beat the eggs with a mixer, then add caster sugar and beat until frothy. 5. Carefully add the flour and combine, then add 1 tablespoon of the reserved cherry cooking juices, sour cream, cream and lemon rind. 6. Dot a small baking dish with a little butter and spread half the custard over the base of the dish. 7. Spoon in the cooked cherries to cover the custard, then add the remaining custard. 8. 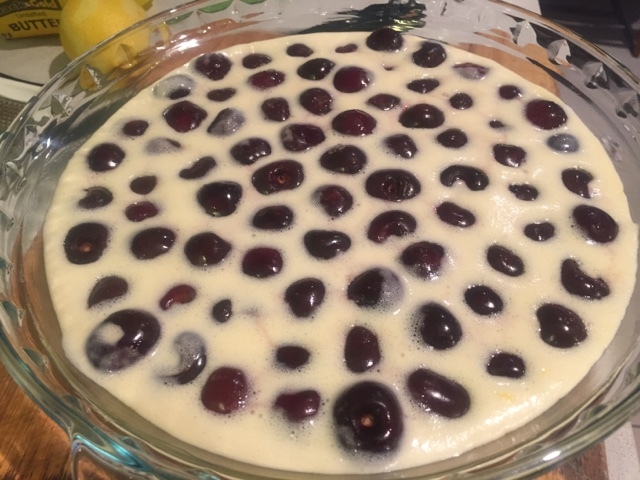 Bake for 25-30minutes, the top will be golden and the cherries will appear as little mounds in the custard. 9. Serve warm, dusted with icing sugar. I have made this a couple of times and even had leftovers cold the next day. Its one of those desserts that does taste good either warm or cold.